Dan: [holds up mirror] What do you see, hm? You see a sophisticated young woman, do you? A fiery, independent spirit? An adult? Is that what you see? 'Cause I'll tell you what I see. I see a little girl trying way too hard and looking pathetic. Now sit in your goddamn chair. As a thriller fanatic, I have to say as I've entitled this, that this movie re-integrates all the codes you have seen previously in this kind of "mirror and twisted reality" universe. What's good here is the storyline is well built, do not expect jumpscares but instead prepare yourself for some great tension going on. Another great point : All characters have their role and contribution, and btw let salute the acting. 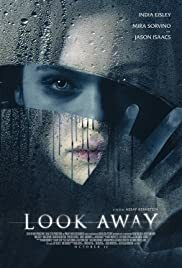 I am discovering India Eisley in this movie and can tell this is a pleasant surprise, she carries the film on her shoulder, no doubt about it. To sum up this is the kind of movie where you hop into within the ten first minutes, and stay stuck until the very end. An enjoyable dark tale, and a nice and wise addition to the genre. 37 of 72 people found this review helpful. Was this review helpful to you?